In 1860, Hoffman was elected to the position of Recorder. His skillful handling of the 1863 Draft Riot participants ensured Hoffman both Republican and Democrat support as well as reelection later that fall. In 1865, with political assistance from Tammany Hall, the dominant City political institution of the time, he was elected Mayor of New York. Defeated for the governorship of New York in 1867, Hoffman was reelected Mayor in 1867. In 1868, Hoffman was finally elected New York State Governor through the dubious methods of William “Boss” Tweed (1823-1878) and his cronies at Tammany Hall. Tammany Hall politicians secretly hoped Hoffman, with the proper support, might eventually win the United States presidency, but in 1871, with allegations of grand scale-corruption circling, public support began to wane for the Tammany Machine. Hoffman’s presidential aspirations evaporated soon thereafter. In failing health, Hoffman journeyed abroad in search of a cure and died in Wiesbaden, Germany on March 24, 1888. Parks acquired this property, bounded by Hoffman Drive, 57th Avenue, Woodhaven Boulevard, Seabury Street, and the Long Island Expressway in 1953 from the Department of Transportation. 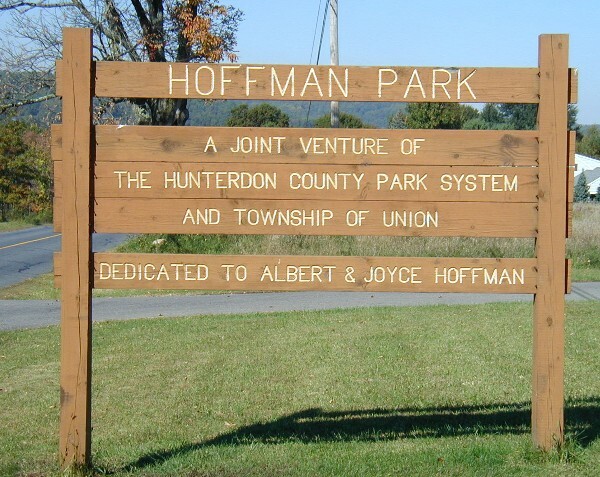 Hoffman Playground underwent a $680,685 renovation in 1986, which included the addition of a new play area for toddlers and school-age children, new fencing and pavement, drinking fountains and newly landscaped lawns and trees. The comfort station and the softball field were also renovated. The park, often frequented by employees from the nearby Saint John’s Queens Hospital, offers a variety of resources, including enclosed baseball, handball, and basketball facilities, picnic tables and benches, a colorful jungle gym, and a comfort station. Atop the flagpole with yardarm fly the United States, New York, and Parks flags.